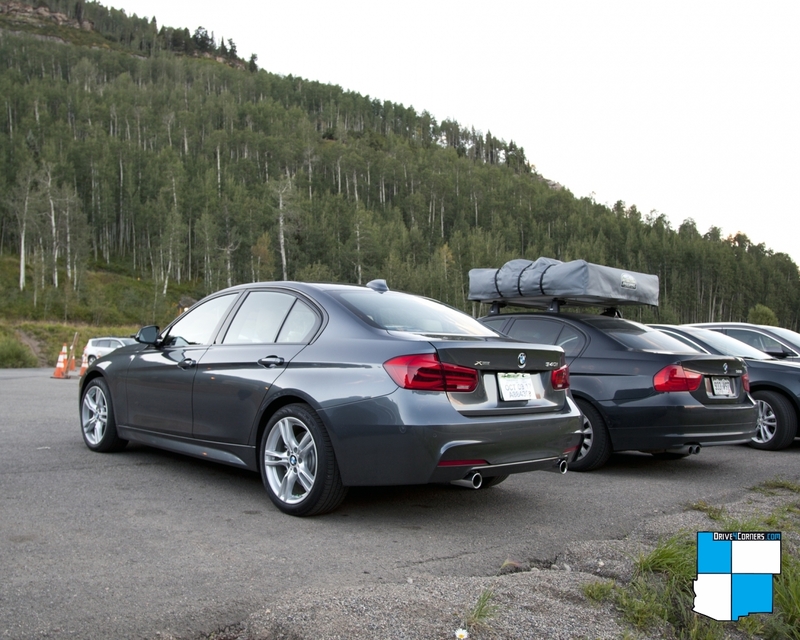 The 7th annual BMW Event Drive 4 Corners took place this past weekend at Purgatory Resort in Durango, Colorado. 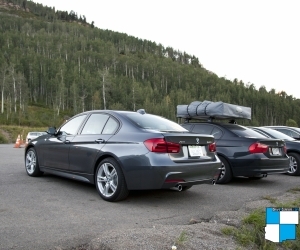 The location marked a new chapter in the event history as Purgatory served as a new venue for the BMW gathering and social event. Event participants came from far and wide including AZ, CA, CO, NC, NE, NM, OK, TX, and UT. The furthest traveled coming one way over 1,850 miles to the event. A new record of 50% of participants returning from previous years. 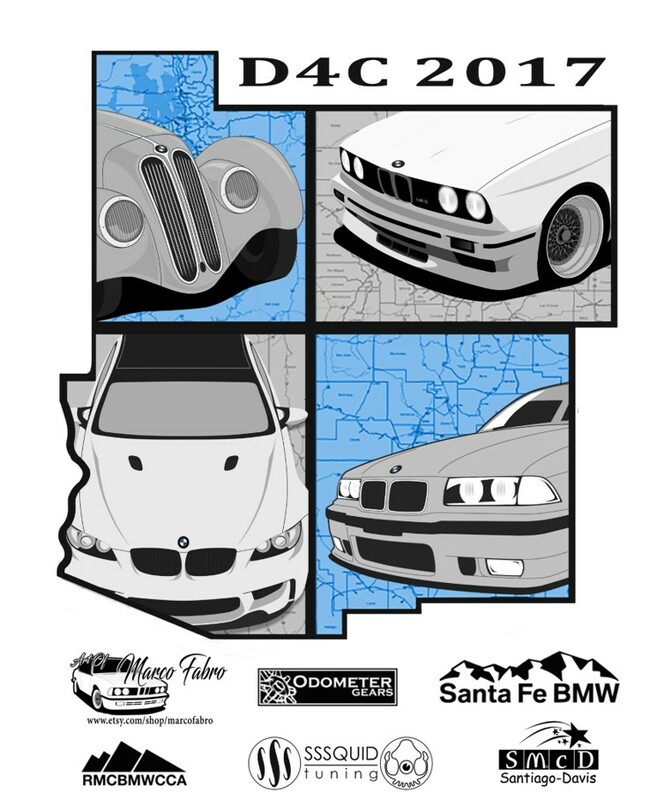 With officially 79 cars in attendance, D4C 2017 was not the largest, but the spectacular location and scenery was well worth it for those who attended. Take a look at the 2017 registration list here. The Saturday group photo was taken before the group drive which meant that those participating could decide how long of a drive they were interested in taking. Some of the group departed together on US-550, to Ouray, CO. This section of road was dubbed the ‘Million Dollar Highway’ and was as scenic as any road in the entire Continental US. This area was also rich in mining history as the route passed through Silverton, CO. Others who were interested in more driving continued though both towns and drove around to Telluride, CO for exploration of Mountain village via a chairlift. That evening a large social gathering was put on for the group. Awards and Raffle prizes were given out and it seemed that everhybody was able to walk away with something when Mugs and Swag were given away by Santa Fe BMW. Some of the highlights of the resort include a variety of lodging options, such as multi-room suites, individual condo’s with kitchens and common spaces, covered garage parking, and affordable rates. Other highlights available to those who stayed on the property include mini-golf, downhill summer tubing, paddle boarding, and an Alpine slide that ran down one of the ski slopes. Please enjoy the photos of the 2017 event!